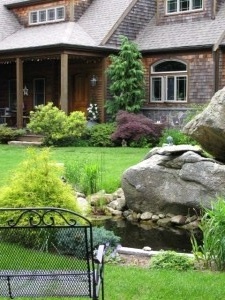 We are committed to improving your landscape so it becomes the talk of all your friends. We build our business on word of mouth and the referrals of our customers. Our work is not hidden from anyone, so we have to provide a quality product at a competitive price. If you are in need of a landscape renovation or are just looking to update an area, call or email us to provide you with a free estimate for your project. Have no idea what you want to do? That’s fine too! We can provide some suggestions to help get some landscape juices flowing. I just wanted to write you and let you know that the crew that worked on our property was outstanding. They were very courteous and pleasant to interact with. We are very happy with your services and will definitely use your company in the future.